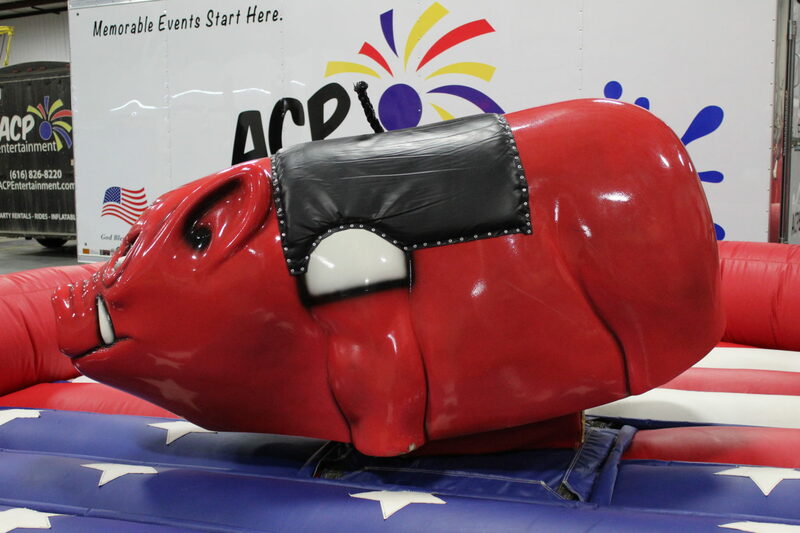 Introducing our newest mechanical rodeo experience; Chris P. Bacon, the Mechanical Hog! 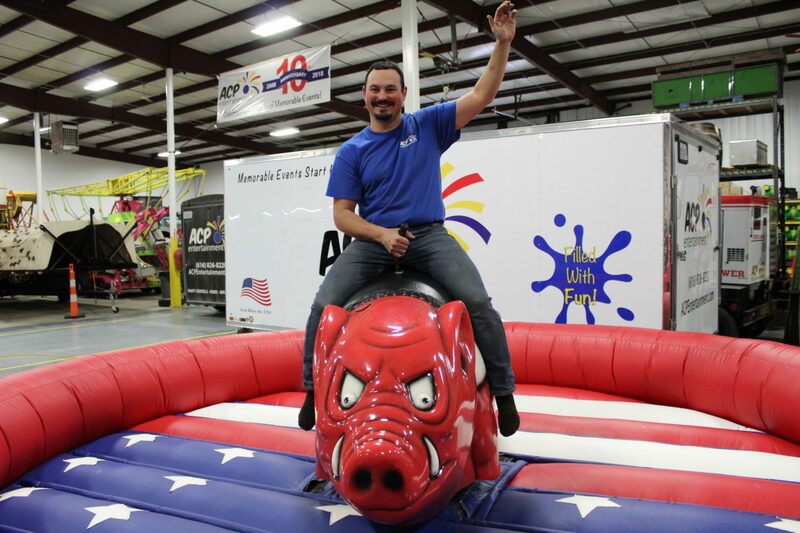 This mechanical hog ride is the same concept and experience as a mechanical bull but with a hog/pig attachment instead of the bull. 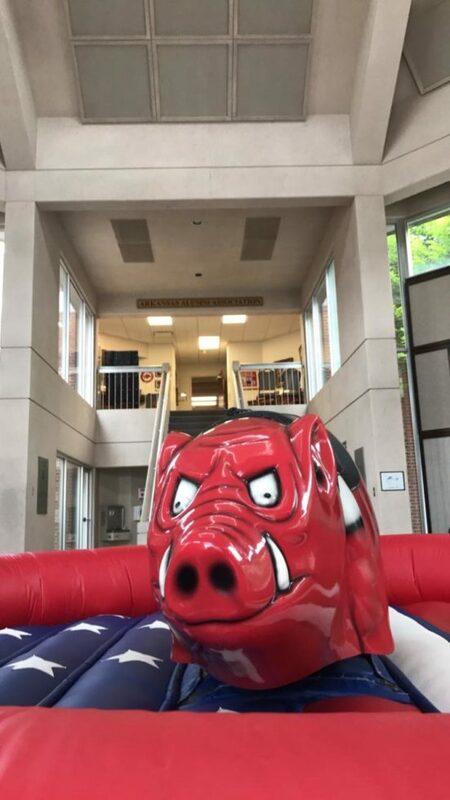 The hog ride is “family friendly” and good for ages 2 and up. 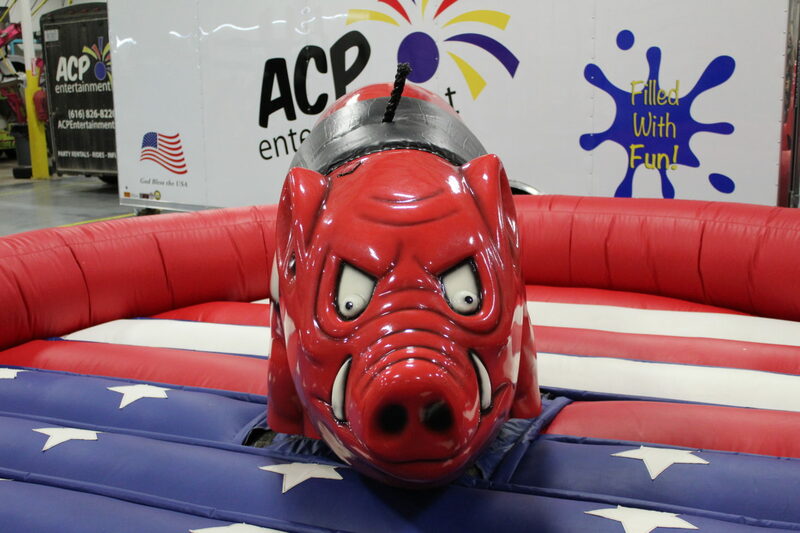 For the younger ages we ask that a parent stand up there with the child as the operator slowly rocks the ride back and forth, just enough to give the child a good riding experience. Children 5 and up should be ok to ride by themselves. 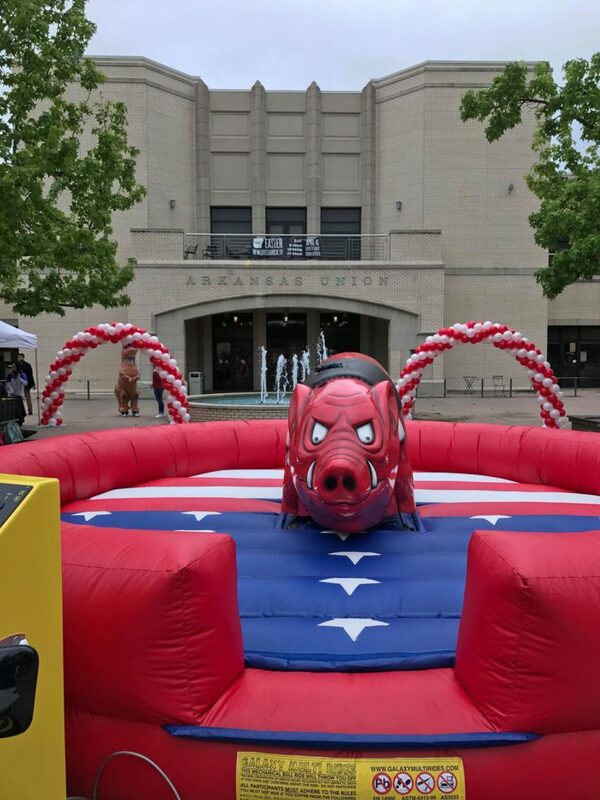 Rent Chris P. Bacon for your next event whether it’s a bike rally, fundraiser, schools or college event, Chris P. Bacon the mechanical hog will be a smash hit! 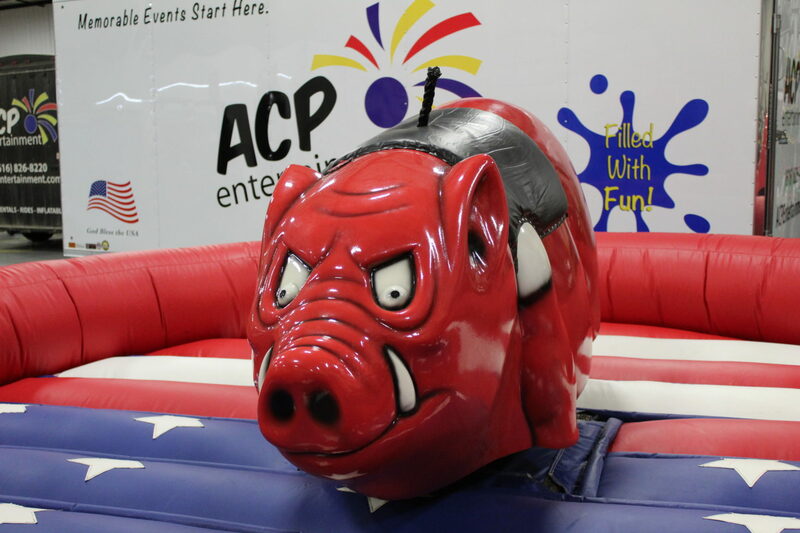 Check out the video of Chris P. Bacon in action by Clicking Here!